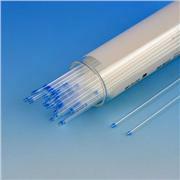 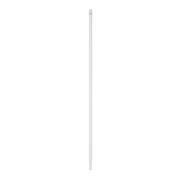 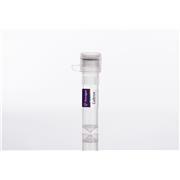 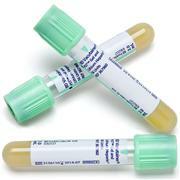 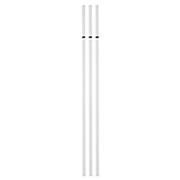 BD Vacutainer® Heparin Tubes are spray-coated with either lithium heparin or sodium heparin. 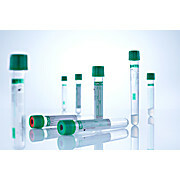 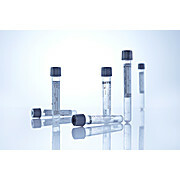 Samples collected in these tubes are used for plasma determinations in chemistry. 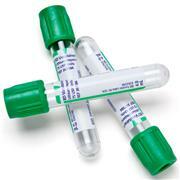 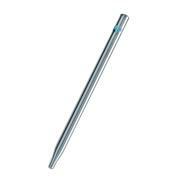 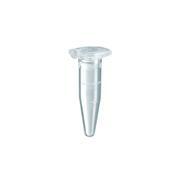 …Mylar wrap helps to contain the sample if the tube fractures, inside or outside the centrifuge. 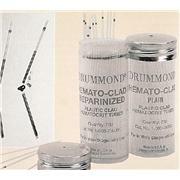 Chance of contamination due to glass fragments or aerosols is greatly reduced. 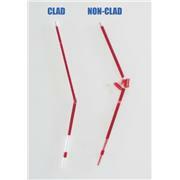 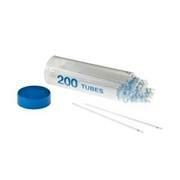 Red tip tubes contain ammonium heparinate; blue tip tubes contain no anticoagulant. 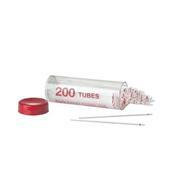 Tubes are supplied in a package of 200.